Cute and a little bit crazy! 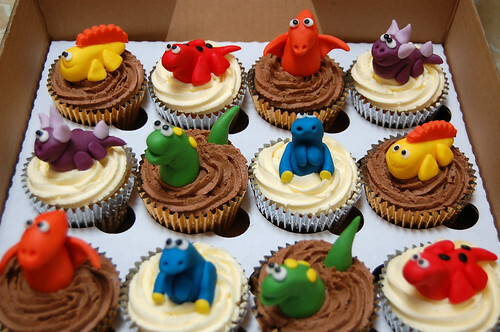 The dinosaur cupcakes – from £2.50 each (minimum order 12). Why not add these to your Dinosaur Cake order?